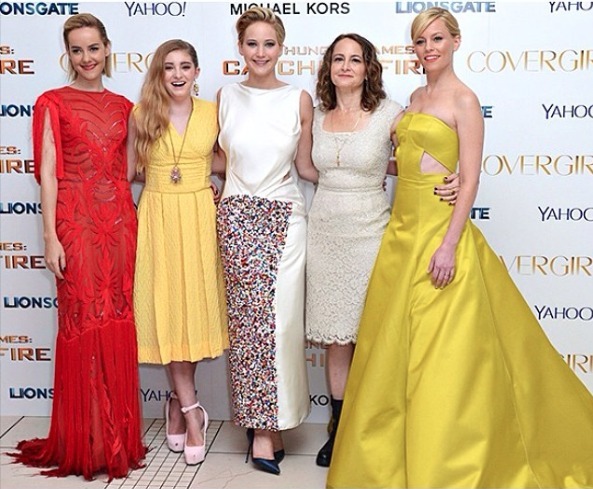 That’s A Wrap For The Hunger Games! Filming for The Hunger Games movies has officially wrapped up, even though we don’t get to see the final installment of the series until 2015! 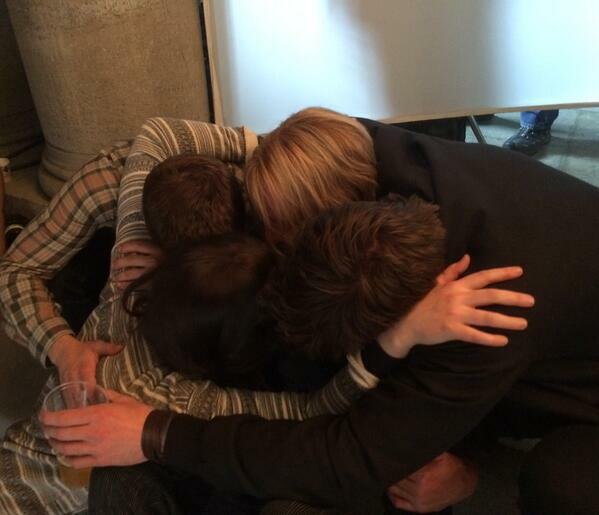 Over the weekend the last scene was filmed and the cast took an emotional picture of their hug goodbye! See the Photo below! What scenes from Mockingjay are you most looking forward to? We have some painful news to report this morning. 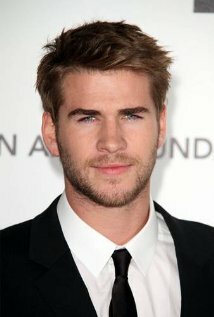 Actor Liam Hemsworth co-star of The Hunger Games: Mockingjay pt. 1 reportedly hurt is ankle in Berlin recently setting filming for Mockingjay back for a day. He supposedly received the injury while kicking a dummy. Ouch! 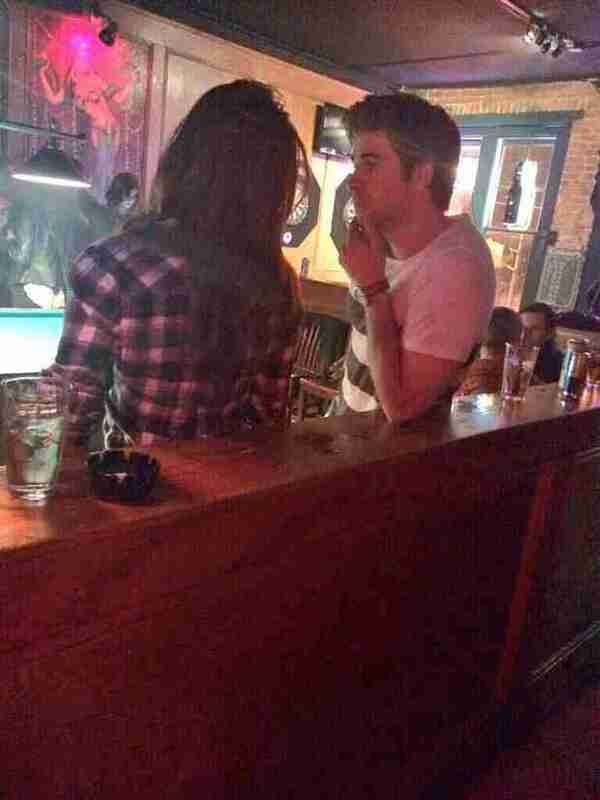 Luckily, after a doctor’s examination Liam was able to return to filming. Careful Liam! We are happy that he is feeling much better today! Miley Cyrus Talks Disney, Depression, + Feminism In ‘Elle’ Mag — Read An Excerpt + See More Pics! Yesterday, we brought you the exciting news that Miley Cyrus had landed the May 2014 cover of Elle magazine’s “Women In Music” issue — and what’s better than a look at her in her fabulous Marc Jacobs body suit on the cover? A glimpse inside, of course! Along with a preview of their shoot that will be featured in the mag, Elle released an exclusive excerpt from Miley’s interview with 17 year-old wunderkind Tavi Gevinson on their website. The pair talked candidly about her start with Disney, finding strength, what gives her purpose in life, and the double standards in music and performance today. Read the excerpt and check out the pics from her shoot below now — and be sure to pick up a copy of Elle on select newsstands and digitally on April 15, and nationwide on April 22! PS: You can also scope a behind-the-scenes video on Elle‘s website here! It’s been five years since she last sat down with Barbara Walters for her Most Fascinating People special, but it’s no surprise that Miley Cyrus made the newswoman’s 2013 list with the year she’s had! It seems like everyone was talking about Miley at one point or another this year — from her MTV Video Music Awards performance with Robin Thicke to her “Wrecking Ball” video and everything in between — and now Walters talked to Miley about it all on Barbara Walters Presents: The 10 Most Fascinating People of 2013, which aired last night (December 18th) on ABC. Miley and Barbara chatted about growing up, regrets, her relationship with ex-fiance Liam Hemsworth, dating, and her plans for an acoustic album in 2014! The pair was also joined by Miley’s mom and manager Tish Cyrus to talk about her role in Miley’s decisions over the past year and more. Earlier this month, we brought you the exciting news that Miley Cyrus had made Barbara Walters’ list of the top ten “Most Fascinating People” of the year! The special, Barbara Walters Presents: The 10 Most Fascinating People of 2013, airs on ABC on Wednesday (December 18th) at 9:30 p.m. ET, and will feature a one-on-one interview with Miley and the venerable Walters. ABC released a short clip of their candid chat today to tease what’s promising to be an interesting watch, in which Miley opens up about her engagement to and break-up with Hunger Games star Liam Hemsworth. “I was so scared of ever being alone,” she admitted, “and I think, conquering that fear, this year, was actually bigger than any other transition that I had, this entire year.” Though she doesn’t regret getting engaged so young — she was only 19 when she started wearing that “fat rock” on her finger — she adds that now she feels she can “actually be happy” on her own.